Number 13 on Billiboard. Number 1 on iTunes and Amazon. 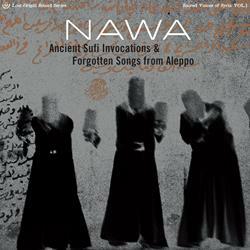 Nawa is a beautiful album of sacred chanting and haunting melodies. 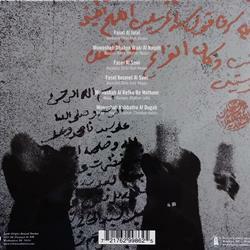 It was recorded by Jason Hamacher in the courtyard of a 500-year-old-house in Aleppo, one of the world's oldest cities. Aleppo, Syria - 2009. A small group of Sufi musicians band together to preserve the nearly forgotten melodies, songs, and poems unique to the ancient city. Aleppo, Syria - 2010. Jason Hamacher was in Aleppo to document the ancient prayers, hallowed rituals, and sacred spaces of Syria's religious minorities. Hamacher heard about a secretive group of Sufi musicians that practiced “the old traditions.” Intrigued by the mysterious description, Hamacher sought an introduction to the group through a mutual friend & became the first Westerner to hear NAWA preform. 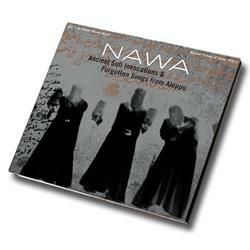 NAWA performed in public a handful of times before Syria erupted into civil war. The group’s displaced members are now scattered throughout Europe and the Middle East.